"So, the quest was for power ! 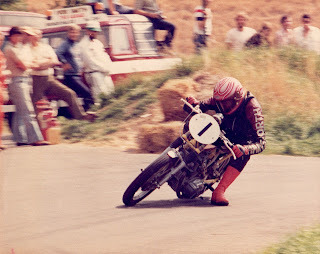 At that time one of the great drag/sprint racers was Mick Hand. He knew how to get a CB72 going. His bike - Little David was a giant killer. Now, I'll admit his engine internals were not of Honda manufacture, and way beyond our own shed building standard but Supercharging...now thats something we could have a bash at......Read a couple of library books and we were off.....no Google searching in 1979.. I managed to source a Rootes type blower of around 300cc. German manufacture and am to this day unsure of its originality. Modificatons to an old CB72 frame resulted in the blower sat behind the engine and drive being possible from the alternator side via V belt. It was all a tight squeeze and the intake manifold had a torcherous bend. An SU carb from a mini provided the carburation and stuck out at ankle level on the left side.... No float chamber on this one, the fuel fed direct into the main jet and flow was controlled by home turned needles......The inlet chamber was fabricated from a grease gun body with a blow off valve at one end. This was adjustable by means of tightening an old valve spring to form a tighter seal.. 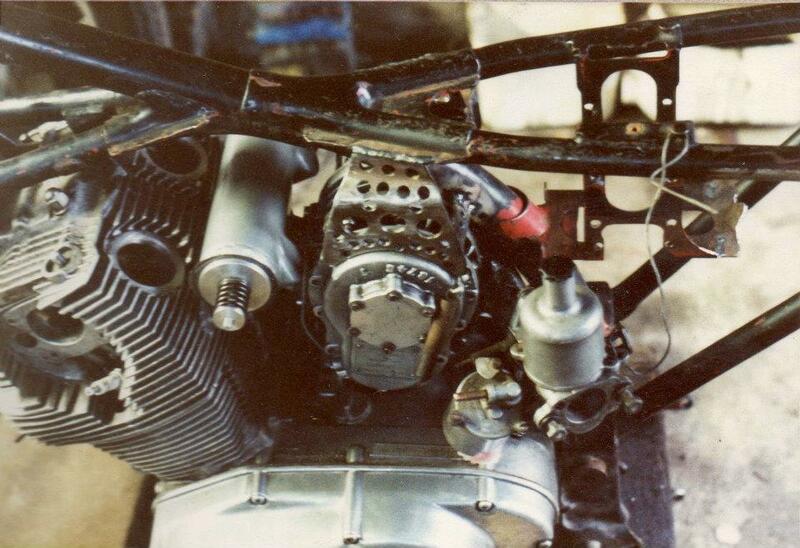 Unfortunately pictures are almost non existant....Riding not photography was our focus......shame really but attached is one during its build. The other is last bend at Gurston Down gunning for the finish. As I said previously the blower drive was via V belt.....different pulleys were turned from wood (cheap) to experiment with blower speed. The V belt drive was the achilles heal of the whole project. Many times during runs would the belt grow to such size due to r.p.m that it would just fly off the pulleys despite a massive tensioning roller. Additional methanol was carried in a reworked seat that had a tank moulded into the hump. So, what did it achieve......? Firstly it taught me reliability was the key to success. Travelling half way across the country to breakdown is not a good idea. Secondly and possibly more important (although I wasn't aware at the time) . The bike was being campained at a time when the ACU tried to ban turbos and superchargers...It is due to it's presence that superchargers are allowed in motorcycle hillclimbing today. The NSA committee stood by me and the bike and overturned the ban. I believe turbos were banned. If I was going to succeed I needed power....but I also needed reliability too............."
There are some old cine films of Ians Honda at NHCA website. Wicked stuff Pete, keep em coming mate, cheers.